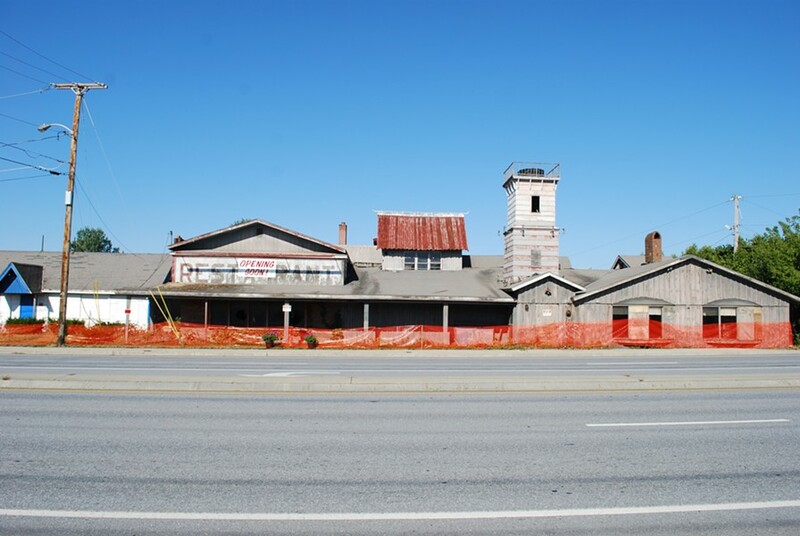 A Shelburne landmark — or eyesore, depending on your point of view — is slated for demolition this week. If your morning commute took you past this Route 7 curiosity across from Almartin Volvo, the shuttered, tumbledown restaurant probably still appeared much as it does in the photo at right: a hodgepodge of boarded-up doors and shattered windows topped, improbably, by a rickety faux-lighthouse. 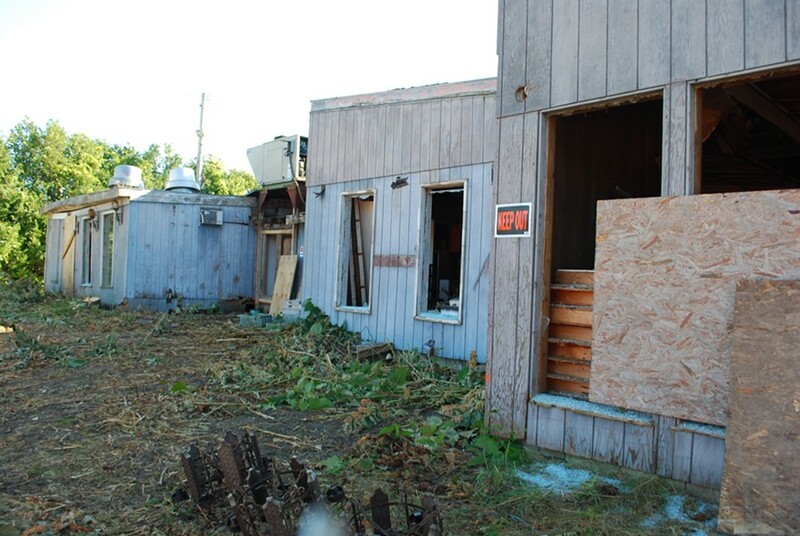 It may have been your last glimpse of the blighted property. As of 10 a.m., excavators were slated to begin demolishing the restaurant that former Seven Days writer Lauren Ober discovered was once "the swank restaurant in town." 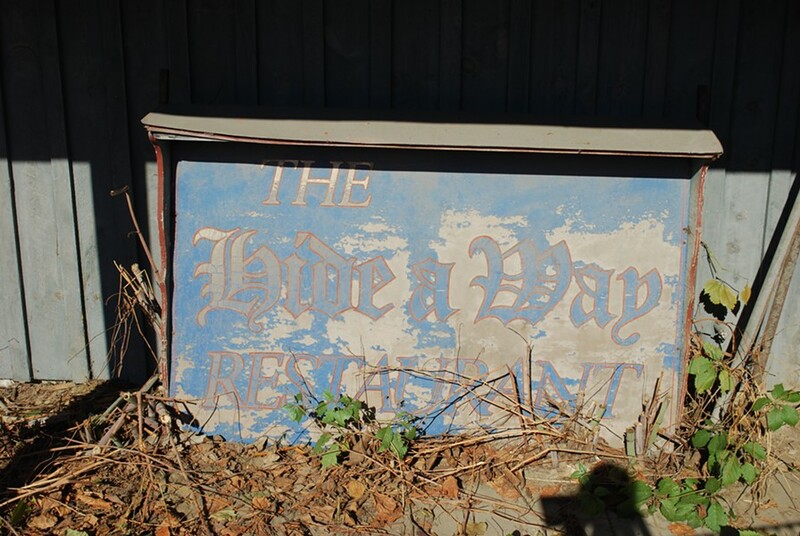 (Ober wrote about the Harbor Hide-A-Way's origins, 1960s hey-day, and eventual decline in a WTF column in 2010.) She reported that the restaurant got its start in 1941 as a hot dog stand, and by the 1960s was a "special occasion" eatery-meets-museum filled to the brim with an eccentric collection. But those days are long gone. By the 1980s the restaurant had fallen out of favor. New owners acquired the property in 1981, but closed up shop by 1987. Mike Serrano owned the Hide-A-Way until last Thursday, when neighboring business The Automaster purchased the long-coveted property. Serrano said this morning that he was feeling "a little somber" to see the Harbor Hide-A-Way finally go. Among the other buildings on the property slated for demoliton was a 1840s brick home that Serrano lived in for 12 years while raising his children. "It is a landmark," said Serrano of the once-thriving restaurant. He still runs into Shelburne residents who dined under the lighthouse for their prom dinners, or who celebrated wedding receptions in the adjoining banquet hall. John DuBrul, whose family owns The Automaster, says his landlocked business has long wanted to acquire the Harbor Hide-A-Way; the extra space will give the automobile dealership room to grow. DuBrul dined at the restaurant as a child, and remembers being allowed to leave his family's table to ogle the bizarre collection of swords, guns, suits of armor and skeletons with the instruction to "look but not touch." But DuBrul is more excited than mournful about the Harbor Hide-A-Way's demise. "This is like a Green Up Day on stereoids," he said this morning, after hauling a few final pieces of battered, antique furniture from the ramshackle building. "Who couldn't love a project that's going to make this much of a visual difference?" Seven Days multimedia producer Eva Sollberger was on hand this morning to film the demolition, which will likely last for the next two and a half days. The Harbor Hide-A-Way will be the subject of next week's edition of her video blog, Stuck In Vermont.